I’ve been away from blogging for a while – first because of a major technical snafu at my previous hosting provider (WebHost4Life – ironic name), but then because of my lack of time and focus regarding blog posts. Recently there has been so much going on and nowhere to blog, so I decided to start blogging again. I’ve opted for WordPress this time mainly for two reasons: 1) the previously mentioned “time factor” – WordPress is a two-click install and will automatically update itself when new versions come out (as 3.1.4 did today to handle some security issues), and 2) there are a bunch of really powerful (and mostly free) plugins and themes than those available in the BlogEngine.NET community. I still operate a few BlogEngine.NET blogs for groups and clients, and where tighter control and easy customization is needed I’ll still go to BlogEngine for that (they have a shiny new version too). But for my personal blog I am going with WordPress so I can (hopefully) focus more on the content and less on keeping things up to date and up and running. The migration is going well – first major hurdles are taken care of. I have really liked Windows Live Writer as a blogging platform so I wanted to try to continue using that with WordPress. Got that set up and posted some initial posts for testing – worked well. 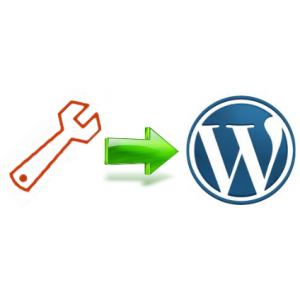 Found a helpful resource here: http://merill.net/2009/01/migrating-from-blogenginenet-to-wordpress/ which covers the major points in migration from BlogEngine.NET to WordPress. This crashed midway through the process so I need to find out if there are any missing posts – but the results do look pretty good. Overall pretty seamless – more content soon. Match the category id to the text inside the CDATA of the Title and you are back in business.